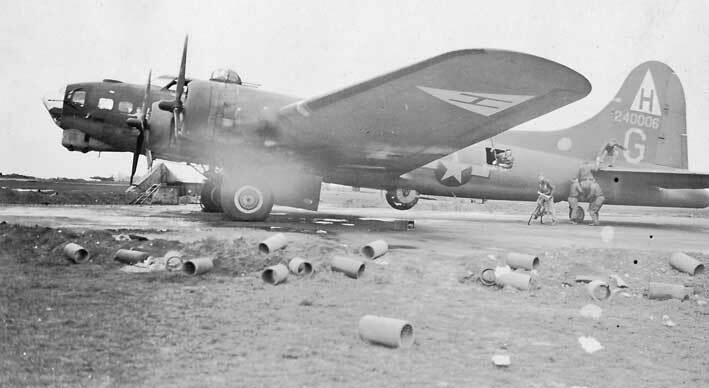 On March 6, 1944 an American B-17G left Thurleigh Airfield just north of London on a bombing run over Berlin. Their primary objective: VKF Ball Bearing Works, Erkner, a German suburb right on the eastern border of Berlin. 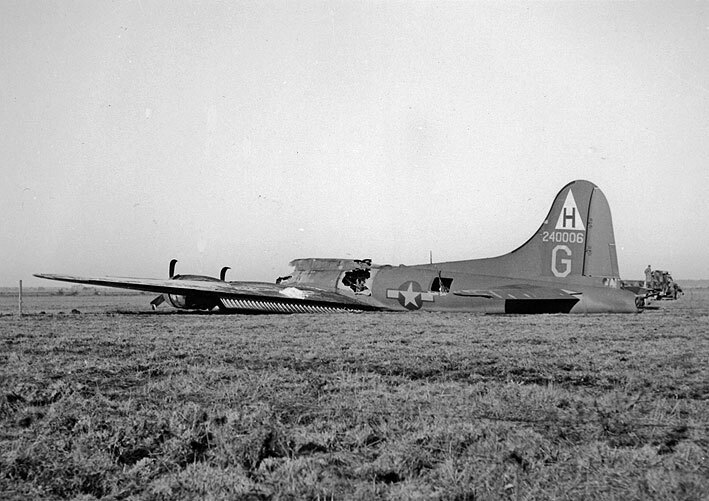 Over the target the plane was badly damaged by enemy anti-aircraft fire. The captain and crew of the “Liberty Lady” knew they could never make it back to their home base so they slipped into a heavy cloud cover and headed north. The navigator had no maps to guide them so when they finally spotted land they suspected they were still over enemy territory, possibly Norway or Denmark. They were actually flying over the Swedish island of Gotland. After spotting the huge bomber lost over their rooftops, the Home Guard along with many people from the village of Hemse rushed to the site where the plane was about to land. The pilots were able to make a safe belly landing on a soft farmer’s field known as the “Mastermyr”. 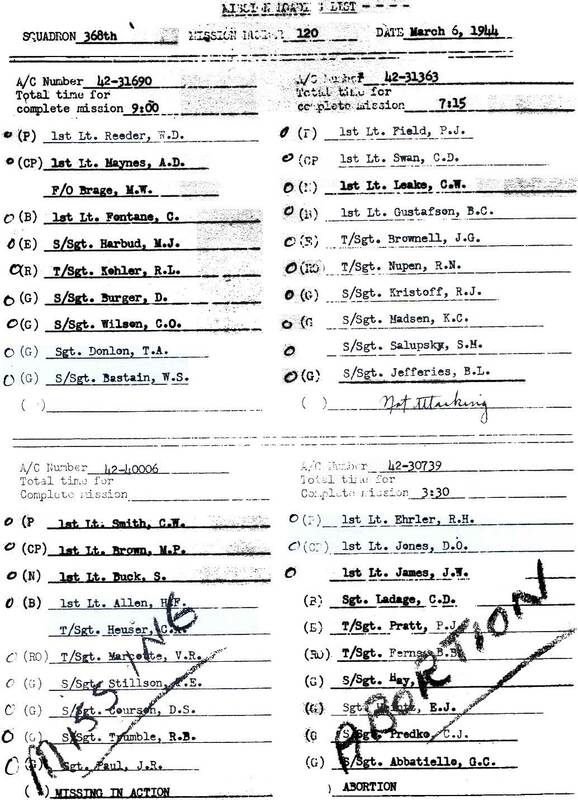 Because they thought they were now in enemy territory the crew set the plane on fire as all ten airmen climbed out safely. It was a huge relief when a school teacher who spoke English explained to the crew that they were in neutral Sweden and that for them, at least for now, the war was over. 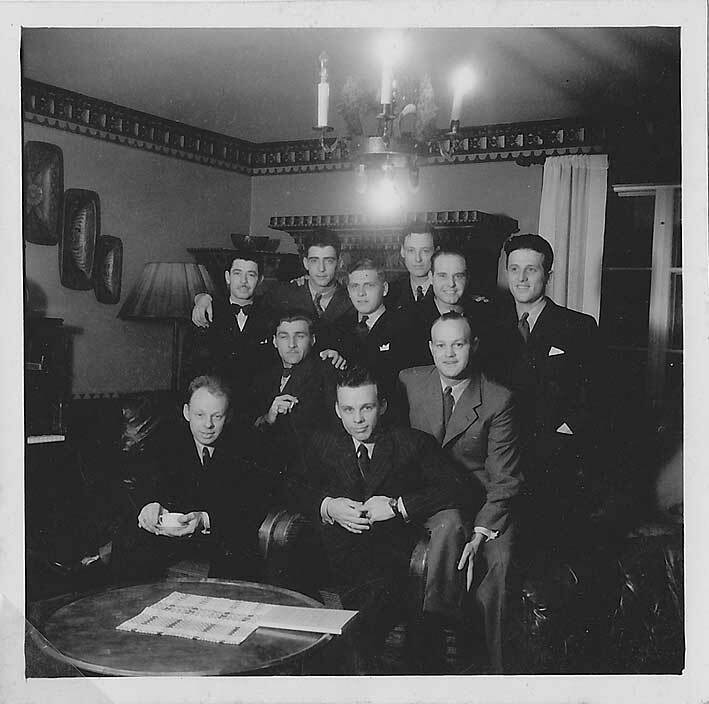 The next evening the grateful airmen were ferried to Stockholm and then taken to Rättvik where an internment camp had been set up for American crews forced to land in Sweden. While doing research for a book on the topic, the daughter of the bombardier, Lt. Herman F. Allen, has been blogging the wartime experiences of her parents at www.LibertyLadyBook.com. Early in 2012 Pat will travel to Sweden to visit the places her parents frequented while they were there… Gotland, Rättvik, and Stockholm. She is searching for good documentation and photos depicting what it was like in these places during that period (1944-1945) and for what might still remain intact today. Lt. Herman F. Allen married Hedvig Jonsson in the Gustav Vasa kyrka in Stockholm, January 1945. "She was born in Hibbing Minnesota. Her parents were Swedish Finns. In the early 1900's they came from Narpes, Finland which had once been part of Sweden so that is the language they spoke. My mother didn't learn to speak English until she entered the 1st grade." Rear row: Victor R. Marcotte, radio, Joseph R. Paul, right waist gunner, Thomas E. Stillson, turret gunner, Donald S. Courson, left waist gunner, R.B. 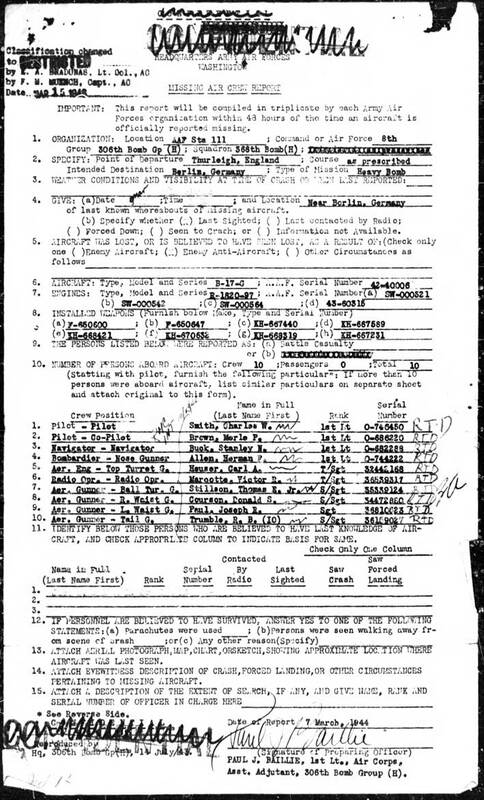 Trumble, tail gunner, Herman F. Allen, bombardier.